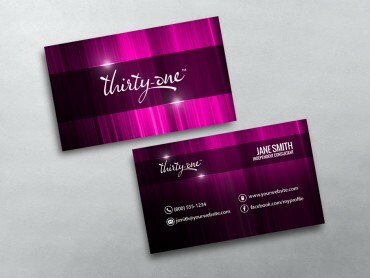 The premium Network Marketing business cards offered by MLM-Cards.com are a great way to present information about you and your business. 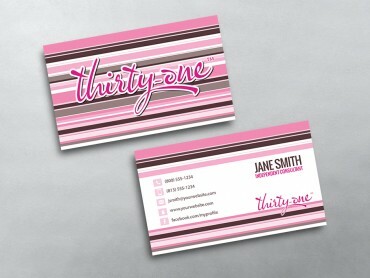 With our creative designs you can present something that really grabs attention. 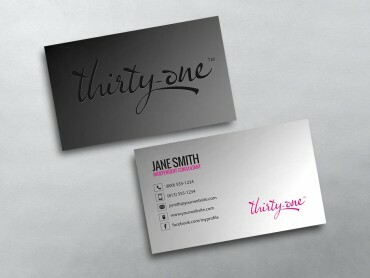 All MLM business cards are fully customizable by you, using our innovative online design tool. 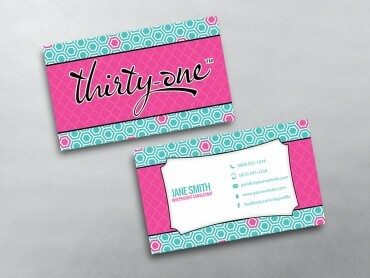 Our Custom Thirty-One Business Cards are printed on high quality card stock, and are available on different paper stocks. 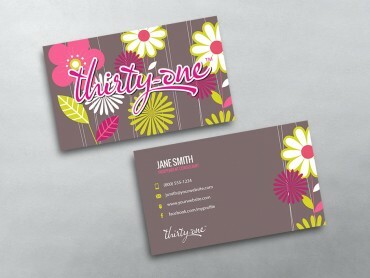 All designs are printed front and back and come in either our High-Gloss or Satin Matte finish. 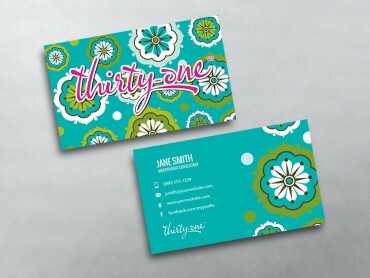 Unlike other printers, MLM Cards gives you the option customizing your own design as you wish. 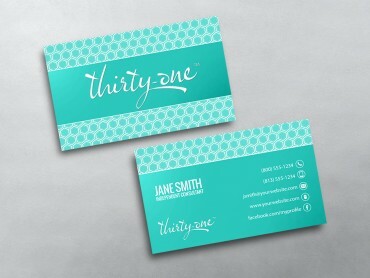 Our online design tool is state-of-the-art and allows you to create, change, move or re-color any element on the design template. 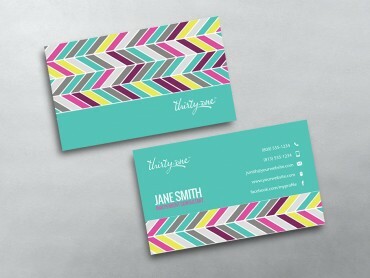 MLM Cards are just right for showing off your individual personality as well as the services your company provides. 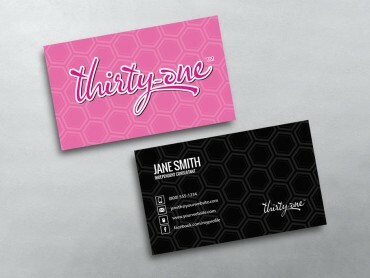 Handing them out is more fun knowing that your individual personality shows through the card. 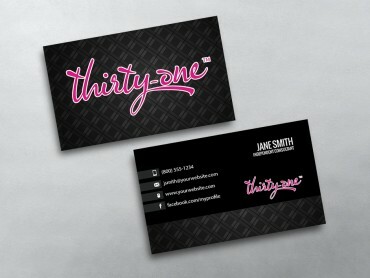 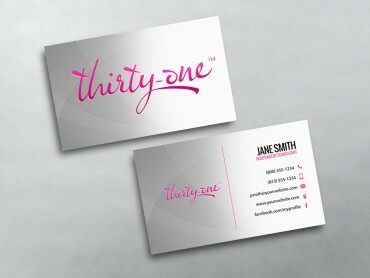 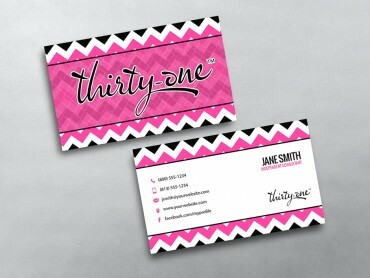 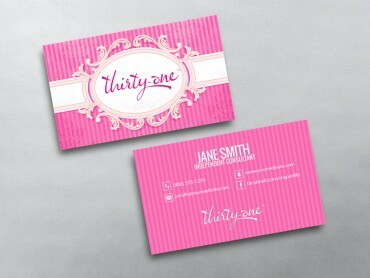 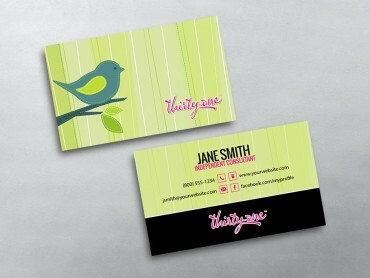 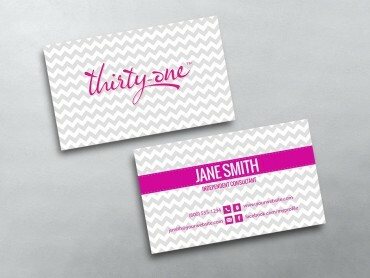 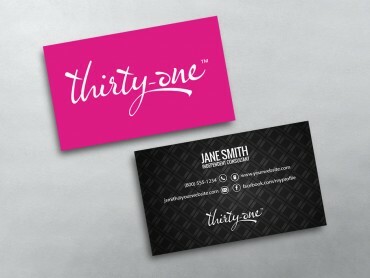 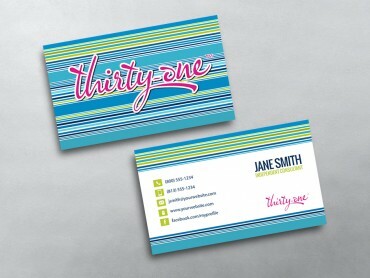 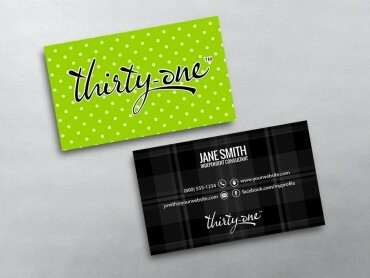 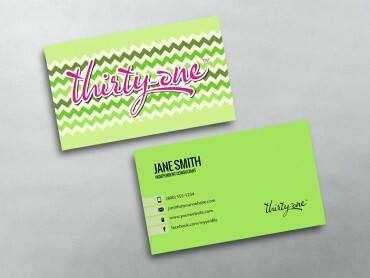 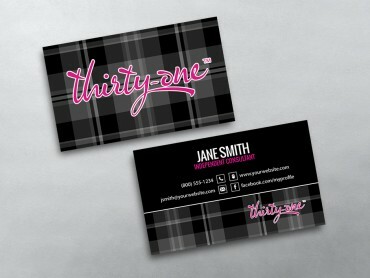 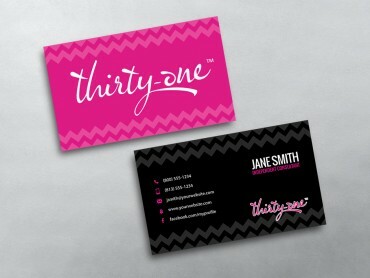 Thirty-One Business Card templates from MLM-Cards.com are more memorable – they’re often a talking point in themselves.